Pop Up Studios was stoked to be there for Gabe's Birthday, and let me tell you this was the party crew for sure! It was such a great time with all of these wonderful people. 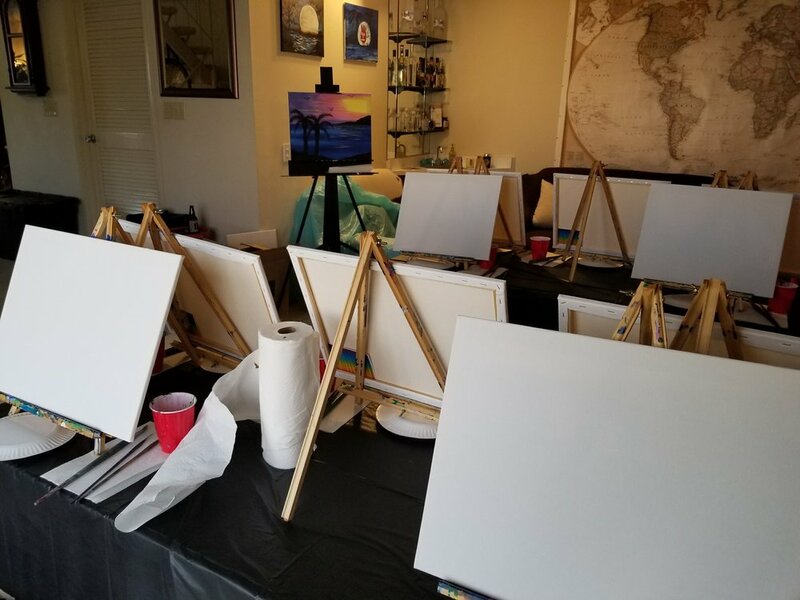 There were a few shots taken before painting, and off we went sipping and painting. We started painting "Sunset @ Dana Point" and it was awesome start. 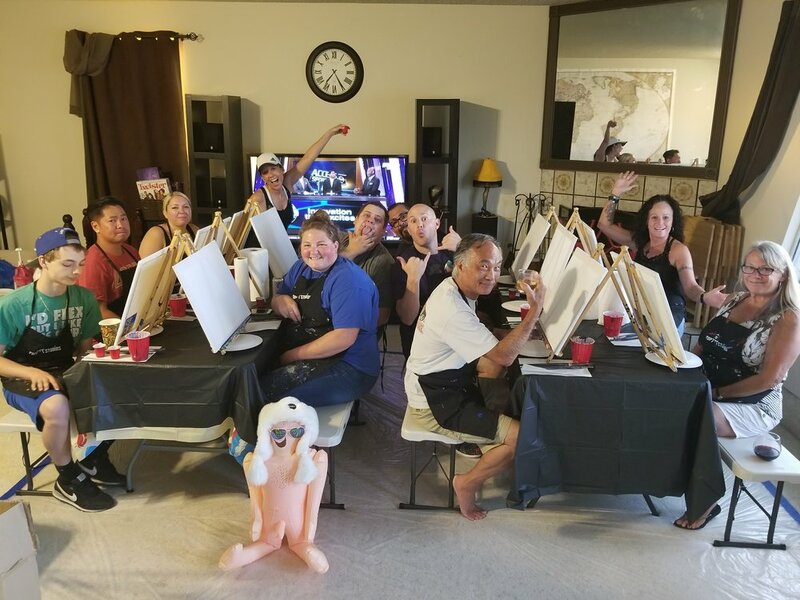 As the drinks were flowing and the paint kept layering on the fun never stopped. It was a blast and everyone had such an amazing time. This crowd was extremely thoughtful and wonderful, I even got a nice bottle of wine to take home!!! Thank you guys for a lovely time, can't wait till the next!